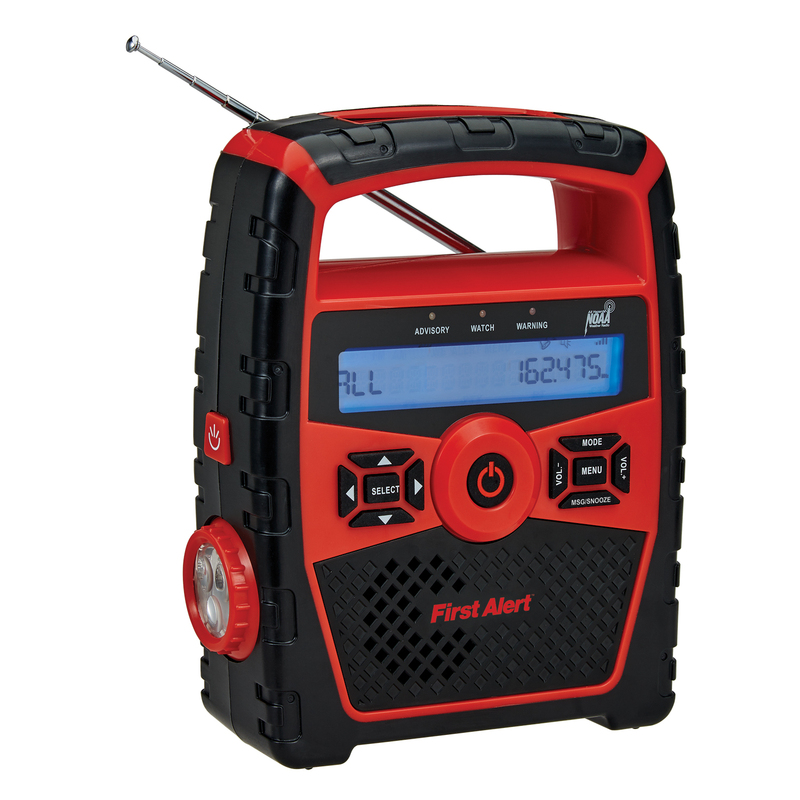 Be prepared with the ultimate weather preparedness device, the FIRST ALERT® SFA1180 AM/FM Weather Band Radio with Clock and S.A.M.E. (Specific Area Message Encoding) Weather Alert. Receive instant 24 hour weather, marine forecasts, and weather alert information broadcast by NOAA on all seven (7) weather band frequencies. Set warning alarms for your specific counties or certain types of watches or warnings. When an emergency broadcast is received, the alarm sounds and warning indicator lights flash different colors, depending on the broadcast; Red is a warning, Yellow is an advisory, and Orange is a watch. Additional features of this weather radio include a clock with snooze function, headphone jack, 1 Amp USB charging port, an ultra bright LED flashlight, and weather resistant construction. 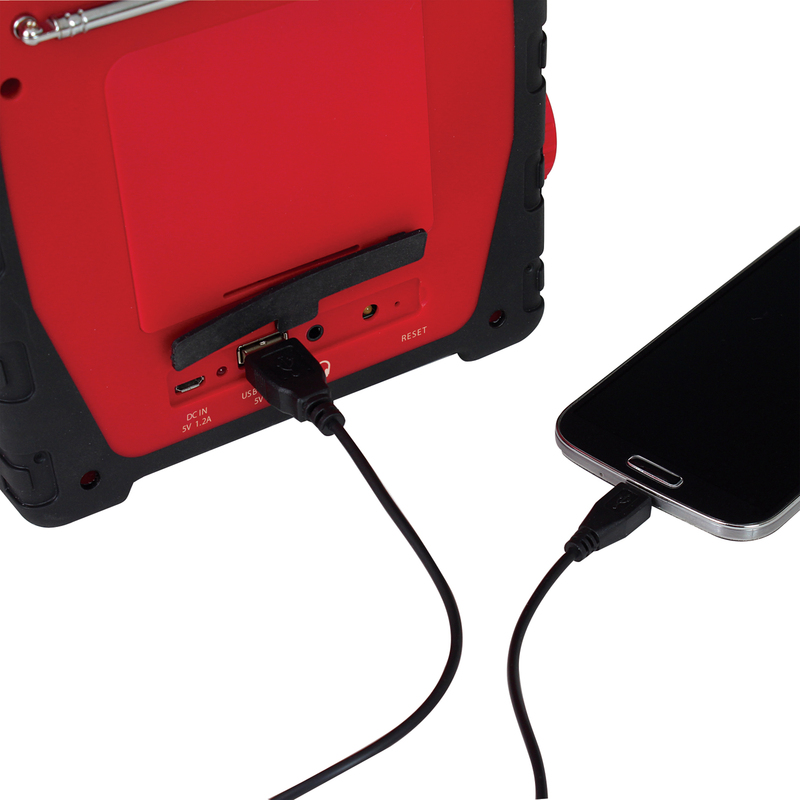 This unit also offers four (4) way power: dynamo (manual charge), solar, USB charging, or three (3) x "AAA" batteries (not included). 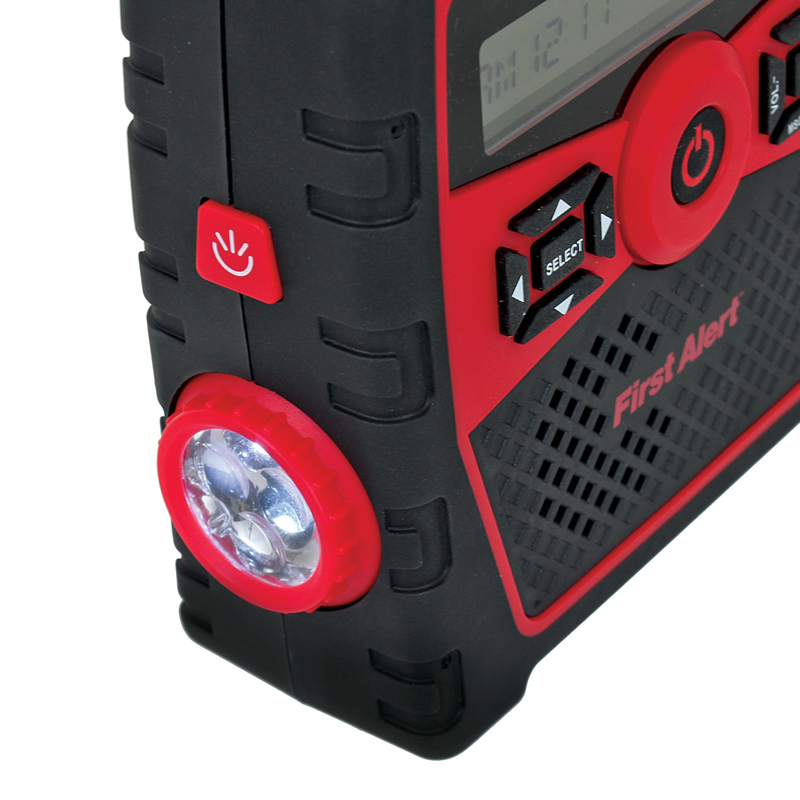 The FIRST ALERT SFA1180 is there when you need it, keeping you prepared.